The Stamps of Life - Join the Club! We know you like to receive HAPPY mail in your mailbox, so why not join one of our clubs to fill your mailbox each month. We offer THREE monthly clubs to choose from, the Stamp Club, the Die Hard Club and the NEW Card Kit Club. Which one(s) will you treat yourself to? Please click the video for more information about our club options. To join the Gold Club is simple, just join our Die Hard Club and our Card Kit Club and you will be in our Gold Club. In addition to all of the Die Hard and Card Kit Club benefits, you will enjoy 20% OFF all purchases in our tradeshow booths and on our website (excludes Big Shots and Classes). Be sure to join both clubs under the same account (same email address) to get your 20% off. FREE stamp set from The Stamps of Life as a welcome gift! New Card Kit (retail value over $50) automatically sent each month, charged on the 15th and shipped the next business day. 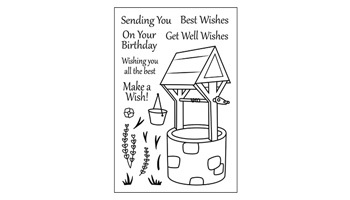 Card Kits include various supplies to create 12+ cards, including an exclusive stamp set, die set, paper pad, embellishments, storage folder, envelopes and more. Also includes an idea post card, a video on our site, and an idea gallery. 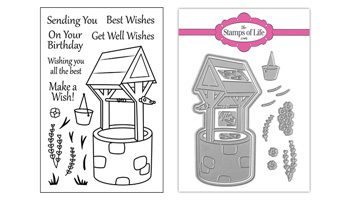 The stamps and dies in this kit are different from the stamps and dies in the Stamp Club and the Die Hard Club.